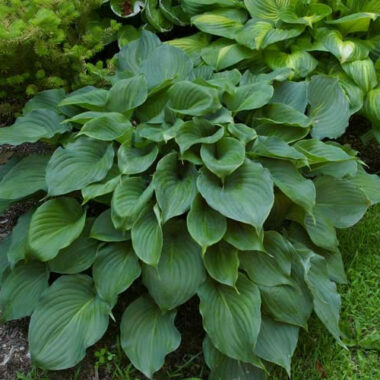 Very Large: 34″ high by 78″ wide very large, open mound of thick, roundish blue leaves; with leaves 15 1/2″ long by 11″ wide (19 vp). 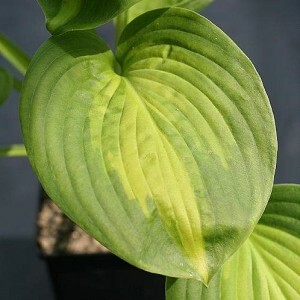 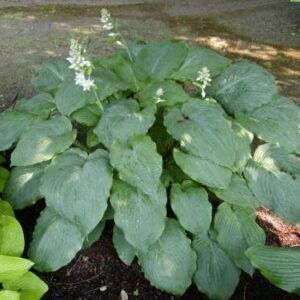 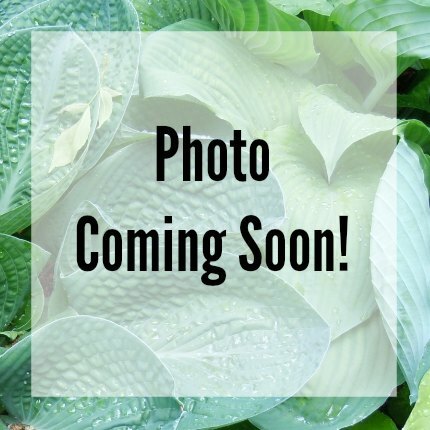 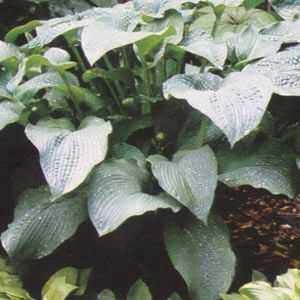 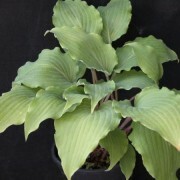 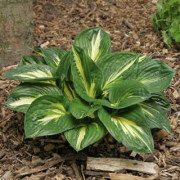 Abiqua Blue Sky’ Hosta is an impressive giant blue hosta with giant, thick, corrugated leaves. 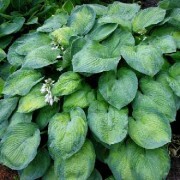 Has white flowers in June. 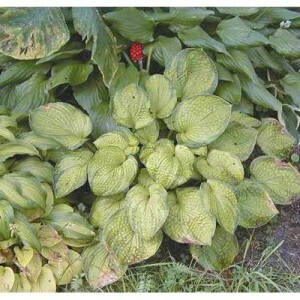 Makes a great background plant.